Hi @disqus_kxk3xqrqVl:disqus, thanks for dropping by! Regarding your problem, are you sure you have the latest Android SDK installed? Thank u so much for the tutorial.Its working perfect but i am not getting colored icons in Notification . Can u plz tell me how to get colored icons? Hello Surya, do you see any error messages in your logcat? This wil make it work correctly on most API versions of Android. 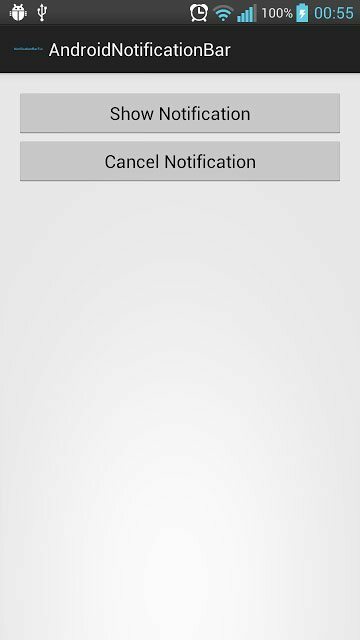 can you teach as how to get notification sending it from web as a post and getting it as a notification on android app? Hey @Churva, I think what you need is google cloud messaging? i tried this app and import it correctly it runs perfectly excepts, there’s no ringing sound. Thank you for this code. I tested it on my HTC One S and it works. But regarding to the two actions that are shown on the notification, are they working also in Android 4.1.1? Because “View” and “Reminds” buttons don’t appear on my phone. And also I’ve tried to start an intent for the “View” button and a different intent for the “Remind” button, but when I click on the notification (the buttons don’t appear) it opens directly the second intent.